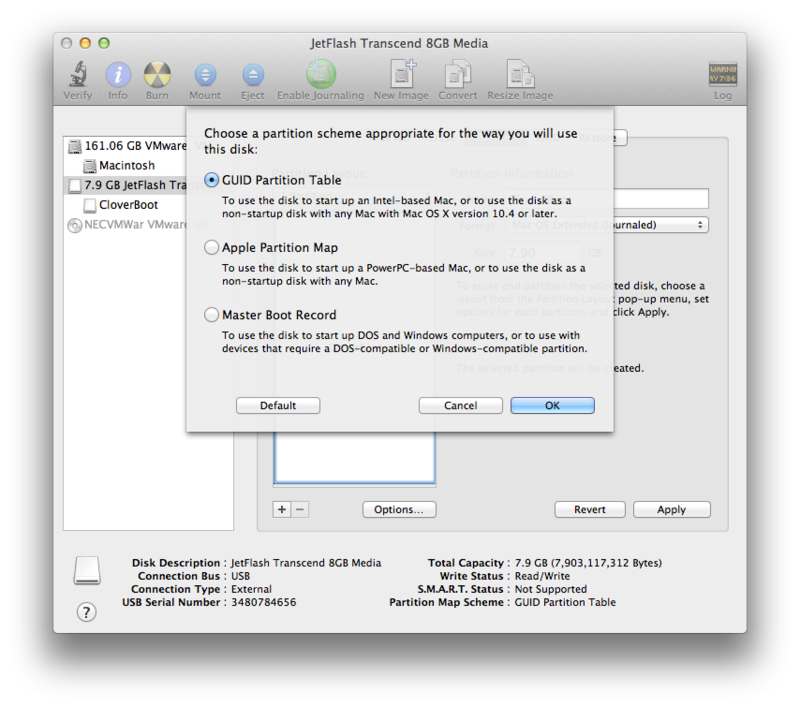 Select your USB stick, click Partition. Click Options. 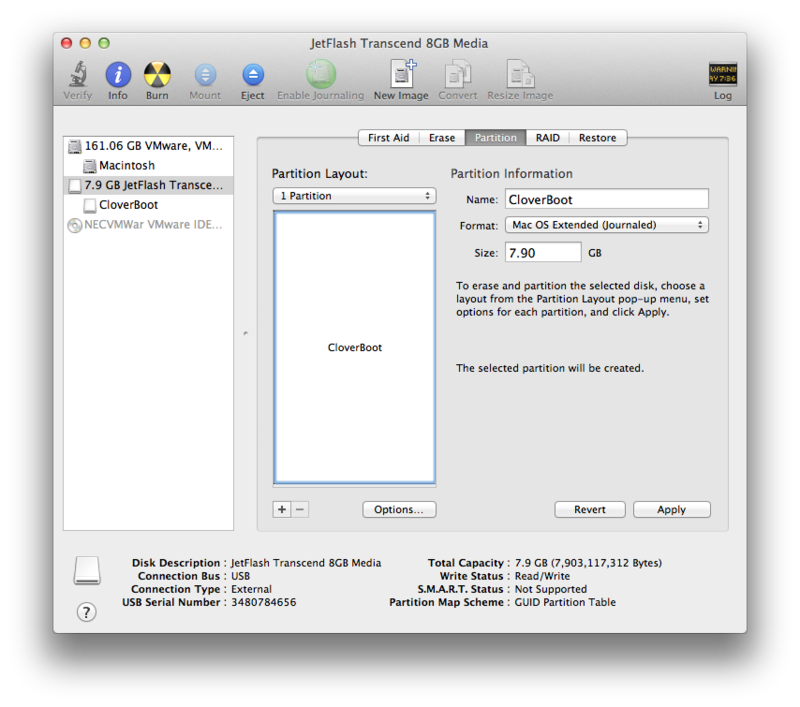 Select GUID Partition Table. Apply.